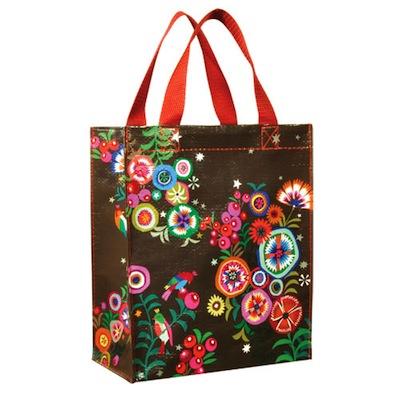 Pretty Print Shopper, then Zipper Pouch and now this! You wanted it, Blue Q made it! Art by Brie Harrison. 8.5"w x 10.5"h x 4"d. 95% post consumer recycled material.